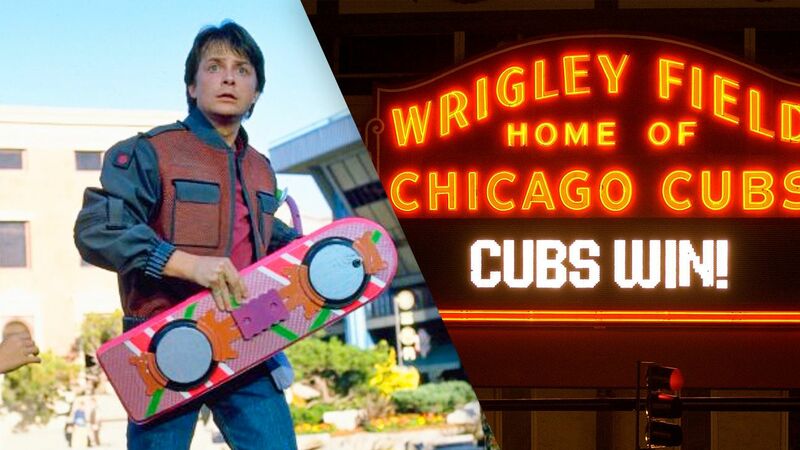 In 1985, the writers and producers of the popular movie, Back to the Future II predicted that the Chicago Cubs would be crowned World Series champions in 2015. The Cubs came close last year, but fell short of the hype produced by the film. As it turns out, Zemeckis and Co. may have only been a year off as the 107 year championship drought could end this year. In 2004, the Boston Red Sox conquered their own championship drought in dramatic fashion by overcoming a three game deficit to defeat the Yankees in the ALCS, and continuing their winning streak through the World Series. The epic series and playoff run was captured by another popular film, Fever Pitch. The Cubs and the Red Sox were the two best teams in baseball this year, and have built their teams around a core of veterans and multiple young stars. The Red Sox have David Ortiz, Mookie Betts, and Xander Bogaerts, while the Cubs have Ben Zobrist, Anthony Rizzo and Kris Bryant. 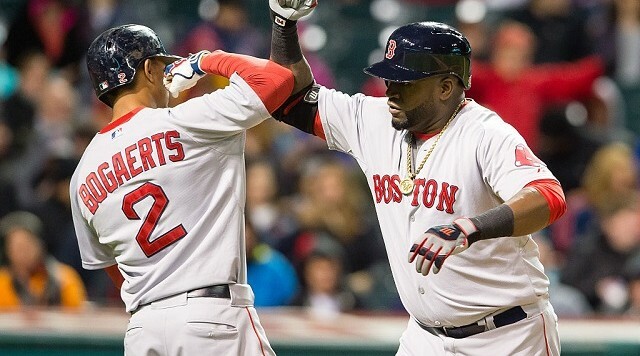 The 2016 regular season was one for the ages as the 40 year old David Ortiz posted career numbers: batting .315, hitting 38 home runs, and driving in 117 runs. Betts also produced an above .300 batting season while slugging 31 home runs and driving in 113 runs. The Red Sox offense was perhaps the best in baseball leading all other teams in Runs scored, extra base hits, batting average, and runs per game. The success of the Red Sox also stems from stellar pitching from Rick Porcello, David Price, and Steven Wright. The Sox could not have won 90+ games without the 22 win four loss performance from Porcello. Porcello’s 22 wins weren’t without a solid 3.14 ERA and 43.1 percent groundball rate. Price and Wright also pitched very well this past season. Outside of Porcello, Price, and Wright, the Red Sox are rather thin in the pitching department. For the Red Sox to win it all, they will need their bullpen to step up in a big way. The Cubs, on the other hand, are a well rounded team with the heart of Chicago on their shoulders. The Cubs offense consists of two of the most consistent and best hitters in baseball, Anthony Rizzo and Kris Bryant. Bryant, last year’s Rookie of the Year, continued to prove why he is one of the best in the business this year. Bryant produced phenomenal stats this year batting .292, while hitting 39 home runs and driving in 102 RBI’s. His counterpart, Anthony Rizzo, was a staple in the 2016 lineup producing both on offense and defense. In addition to the big two of the Cubs offense, Jason Heyward, Jorge Soler, Ben Zobrist, and Addison Russell contributed to the Cubs championship chase in a huge way playing stellar defense, and supporting the Cub’s pitching rotation with one of the highest run per game averages in baseball. Pitching and defense win ballgames. If the opposing team doesn’t score a run, it is impossible to lose. Jake Arrieta (18 wins), John Lester (19 wins), John Lackey (11 wins), Jason Hammel (15 wins), and Kyle Hendricks (16 wins) makeup baseball’s best pitching rotation. Each produced mightily to the club as each player’s ERA was below 3.50. The Cubs can beat you with both their offense and their pitching. The Cubs are a balanced team throughout the clubhouse. President Theo Epstein has done a brilliant job crafting the team to boast a solid blend of young stars and experienced veterans. The city of Chicago is in need of a championship. It’s been 107 years. I think they’ll get it done. Posted in MLB and tagged Cubs, Jake Arrieta, Jon Lester, Kris Bryant, Kyle Hendricks, Red Sox.